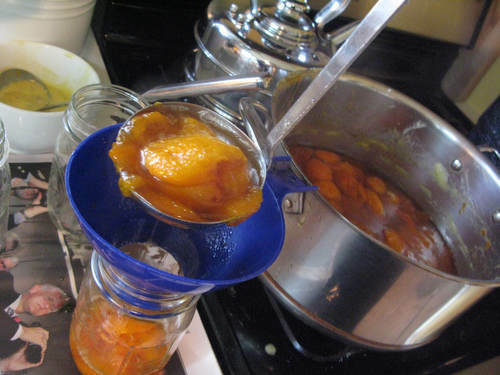 You are at:Home»Cooking»The First Rockland Food Swap! The First Rockland Food Swap! A few local cooks are organizing the first Rockland Food Swap, which will be held from 6:30 to 8:30 p.m. Tuesday, Jan. 29 at the Piermont Reformed Church. A food swap is basically just that: you take food that you’ve made to trade with other people who have done the same. Once you arrive, you set out your goods on a table with a piece of paper in front of you, like at a silent auction. People browse the tables and decide what they’re willing to swap for what, then write down their bids. A friendly negotiation seals the deal. The idea has been gaining steam throughout the country, and there’s a Web site dedicated to helping DIY cooks find like-minded friends to share with: foodswapnetwork.com. (Yes, Rockland is on there!) One of the best known nearby swaps is BK Swappers, a group founded by brooklynhomesteader.com’s Meg Paska, and now run by food writer Jane Lerner. It meets monthly in Brooklyn. By attending the Rockland Food Swap, you understand that all cooking is done in home kitchens and organizers expect that you’ll use the highest standards when it comes to cleanliness). In other words, these items are not made in kitchens approved or inspected by the health department. And because of that, no selling is allowed. If you don’t want to swap, gifting is also encouraged. All items must be handmade or homegrown. Package your food so it’s protected and can be handled by others. Label foods that need to be refrigerated. You must pre-register before attending, so organizers will know how to set up the room. Call Phyllis Segura at 845-365-0042 or Rachel Mack at 845-358-2221. The church is at 361 Ferdon Ave., Piermont. For more information, visit rocklandswappers.blogspot.com. Well put, Liz. Hope you can make it. It will be a lot of fun. We have already scheduled the next one, same location, on Tuesday, February 26th. Thank you for the great little mention, Liz! Just to mention it becomes somewhat of a social gathering too – for those who like to socialize, of course! Look forward to seeing everyone!